Yo, got a lot of work to do last weeks, school is ending soon.. Did a lot for those projects but also managed to get this one out, its an a3 poster design for a party but you will only be allowed with a mask.. 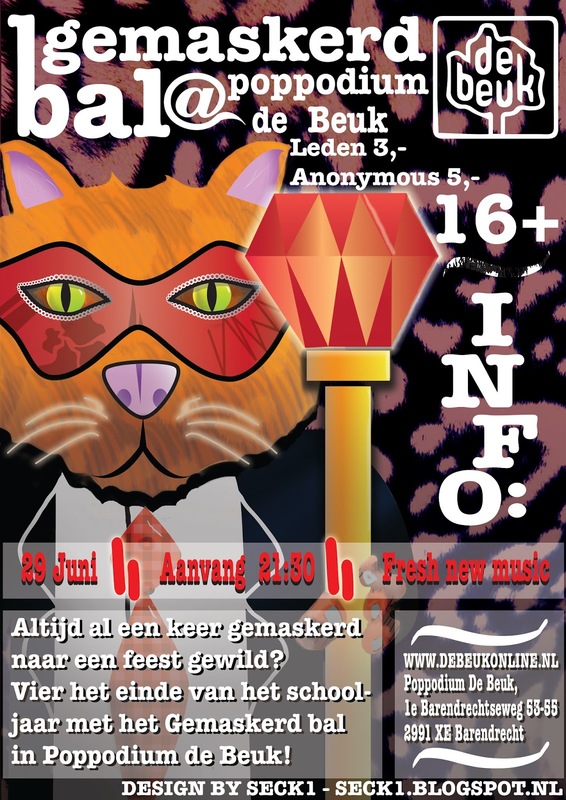 If you are interested and you live near Barendrecht, check it out soon, June 29th! Visit beukonline for more info!